Our range of self-help meditation CDs show you relaxation techniques that train body and mind to let go naturally and effortlessly. Promoting deep inner peace, find calm and well-being with our self-healing and relaxation meditation audio CDs. Three uplifting guided visualizations to enhance your powers to manifest abundance in your life. 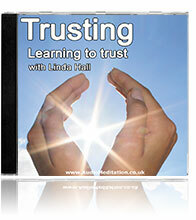 Using beautiful imagery, positive visualisation, affirmations, mindfulness and breath awareness. Manifesting Abundance offers powerful tools to train your mind to enhance your personal potential and empower and transform your life. Suitable for all levels: beginners and advanced. Learn the secrets to deep relaxation and how to feel relaxed in your day-to-day life. 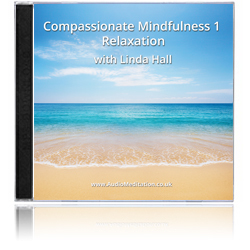 This ten-day micro-learning course with Linda Hall shows you how to relax deeply and feel more relaxed within yourself generally so you can manage stress and anxiety better. Each short, easy-to-digest session, designed to fit into your busy day, combines coaching and guided instruction with simple daily relaxation practice to bring about lasting change. 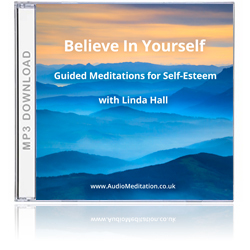 Four powerful guided meditations to raise self-esteem and build self-belief, using beautiful imagery, positive visualisation, affirmations, mindfulness and breath awareness. Learn to believe in yourself in this life-affirming journey of self-discovery that restores your sense of self, enhances your potential, empowers and transforms you. 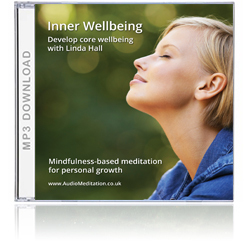 Linda Hall’s signature collection offers her own individual approach to meditation, combining mindfulness, mind/body awareness, self-compassion and psychology. Twelve powerful yet gentle guided meditations and everyday mindfulness practices offer skills for life: Relaxation; Being Present; Acceptance; and Positive Thinking. Set to soothing background music. Three guided meditations on mindfulness and self-compassion for core inner wellbeing. Teaching you how to manage anxiety and negative thinking, and develop a healthy sense of self-compassion. 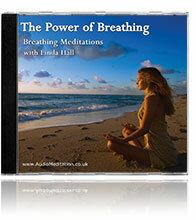 A powerful collection of meditation breathing exercises for relaxation and self-healing. Teaching you how to relax, re-balance and re-energise yourself using the breath. Learn how breathing can help you manage anxiety and replenish your energies. Suitable for all levels: beginners and advanced. 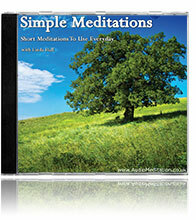 Three collections of our most popular guided meditations that focus on personal development. Using mindfulness, creative visualisation, relaxation techniques and affirmations. These gentle meditations, set to soothing background music, offer powerful ways to develop healthy inner resources and address old issues in need of healing. All The Time You Need – Change your relationship with time Feeling Good – Ways to feel good from the inside out Trusting – Learning to trust Suitable for all levels: beginners and advanced. Learn how to relax with our easy relaxation techniques. 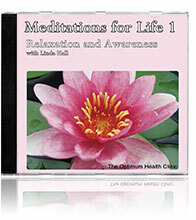 These lovely relaxation meditations help restore inner calm and balance. Set to gentle music and the sound of ocean waves. A perfect antidote for managing stress. Suitable for all levels: beginners and advanced. Three guided meditations to promote deep relaxation and inner wellbeing. The first in a series to support health and wellbeing. Learn how mindfulness and self-compassion make a profound difference to peace of body and mind. Includes simple day-to-day mindfulness exercises to incorporate into your everyday life. 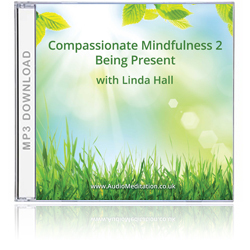 The second in a series of guided meditations to support health and wellbeing through mindfulness and self-compassion. Includes simple day-to-day mindfulness exercises to incorporate into your everyday life. 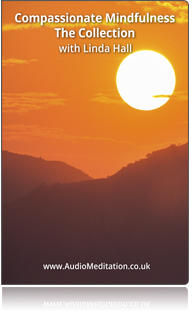 Three guided meditations help you be in the present moment with an attitude of acceptance. 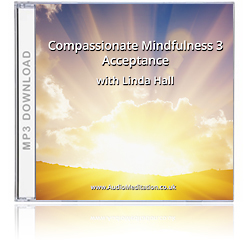 The third in a series of guided meditations to support health and well-being through mindfulness and self-compassion. Includes simple day-to-day mindfulness exercises to incorporate into your everyday life. This powerful feel good self-help meditation promotes well-being and peace of mind. Four beautiful self-healing meditations boost self-esteem and develop inner happiness and fulfillment. Suitable for all levels: beginners and advanced. A collection of short relaxation meditations showing simple meditation techniques. Used daily, these meditations will help you manage stress and feel more balanced. Suitable for all levels: beginners and advanced. 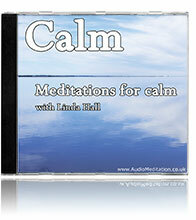 A wonderful relaxation meditation CD. Soothing ocean sounds and positive affirmations induce deep inner calm to help you deal with stress and anxiety. A shortcut to tranquillity. Suitable for all levels: beginners and advanced. Relaxing meditation teaching self-awareness techniques. Learn how to live in the present and connect to your inner resources and the resources of the natural world around you. Suitable for all levels: beginners and advanced. Self-help meditation is a tried and tested way to build self-esteem and confidence in the future. Learning to relax, believe in yourself and take life as it comes is all part of the process. 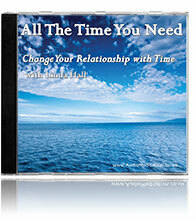 A deeply healing and reassuring relaxation CD. Suitable for all levels: beginners and advanced. Relaxation techniques and self-help meditation to help you deal with anxiety and feel less stressed by time. Recommended if you are always rushing or feel overwhelmed by too much to do. Suitable for all levels: beginners and advanced. "The meditation audio course is a little nugget of calm in my day!" "I can honestly say that I have found this to be THE best, most helpful (and enjoyable!) mind body technique I have ever experienced!" "Your voice ought to go global..... it is so soothing!" 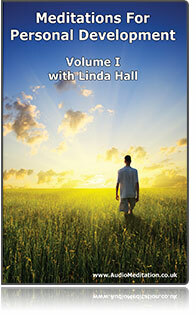 "Listening to Linda Hall's guided meditations has helped me deal very effectively with the stress and insomnia. Her tapes have also eased the chronic pain issues I have been struggling with. Thanks, Linda. Your guided meditations have made a huge difference in my life!" - Katherine Kavanaugh Doud, Kalamazoo, U.S.